1. 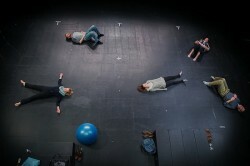 Circle Mirror Transformation at Rep Stage. “The ensemble cast works together as one to deliver high quality performances. Overall, Rep Stage’s Circle Mirror Transformation is funny and thoughtful. Will this play encourage you to take a creative drama class?” -Mark Beachy. Synopsis: When a group of small town residents enrolled in a community center drama class begin to experiment with seemingly harmless theatre games, hearts are quietly torn apart, and tiny wars of epic proportions are waged and won. Pictured: Beth Hylton (Theresa), Tom Byrn (James), Natalie Collins (Lauren), Meg Kelly (Marty), and Yury Lokamin (Shultz). Photo by Katie Simmons-Barth. 2. 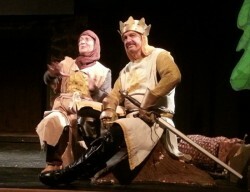 Monty Python’s Spamalot at Silhouette Stages. 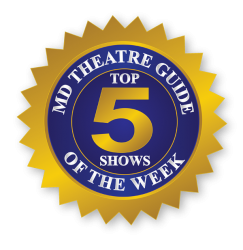 WATCH promo video made by MD Theatre Guide. Synopsis: A musical comedy “lovingly ripped off from” the 1975 film Monty Python and the Holy Grail. King Arthur, so dubbed when the Lady of the Lake gave him Excalibur, travels England in search of Knights for his round table who go on a search for the Holy Grail. 3. The Spoof, the Whole Spoof, and Nothing but the Spoof by Hexagon. “Hexagon doesn’t ascribe to or try to match the rapier wit and impersonations of the Capital Steps. This is more of a comfortable family gathering where the crazy uncle gets a little off track.” -Brian Bochicchio. Synopsis: Hexagon is a nonprofit organization composed of people whose purpose is to create and stage an original, political, satirical, musical comedy revue each year, both to have fun entertaining and to raise money for local charities. 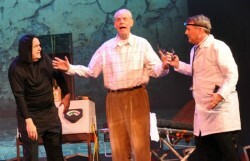 L to R, it’s Steve Dasbach, David C. Boies and Willy LaHood, and photo attributed to hexagon.org. 4. 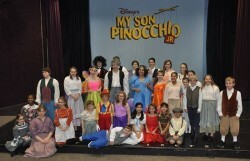 My Son Pinocchio, Jr. at Children’s Playhouse of Maryland. “My Son Pinocchio, Jr. is a wonderful play to see for kids, by kids, and especially for the kid at heart.” -Raisa Lefe’. 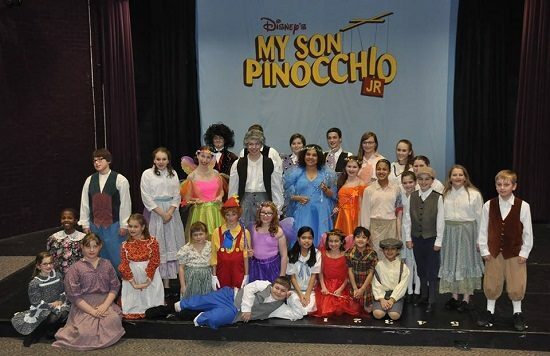 The cast of ‘My Son Pinocchio, Jr.’ at Children’s Playhouse of MD. Photo provided by CPM. 5. Movies and Minions on Ice at the Columbia Figure Skating Club. 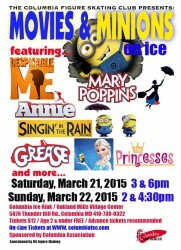 Featuring members of the Columbia Figure Skating Club in Columbia, MD, this ice show features music from Despicable Me, Mary Poppins, Annie, and more!